Holiday Shopping or Holiday Shop Pinning? Pinterest is big, and it’s only going to get bigger, which is big news for businesses looking to boost their sales this holiday season. There’s no question, those little red and white buttons are popping up everywhere. As Pinterest rolls out new tools to help business clients grow sales, that swirly little logo will start looking more like a dollar sign to savvy business owners. 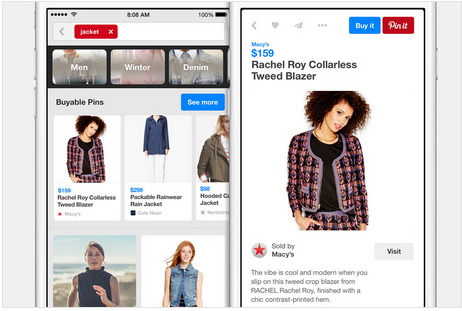 So what’s this Pinterest craze all about, and how can it jumpstart your holiday sales? Anyone who spends any time on the internet has surely noticed the Pinterest presence on nearly every blog and website you encounter these days. For those that are not familiar, Pinterest is an online media platform that allows users to find, save (or pin) products, information and creative ideas that peak their interest. Users get started by simply signing up for a free account. This allows them to create customized boards to pin finds from other users with similar interests or from just about anywhere on the web. Outside of the Pinterest platform, you’ll find the pin button proudly taking its place alongside its social media predecessors (e.g. the Facebook share button or the Twitter tweet button), on just about every blog, business website and article resource that can be found. What started out as a fun space for consumers has now grown into a low-cost, highly effective sales tool for businesses of all sizes. In fact, organizations that are already in on the fun are seeing an increase in traffic to their stores and websites since joining the pinning community. While the site only had about 3,000 users in the first few months after its 2010 launch, that number surpassed 70 million in 2015. Although women account for the majority of active users, current data trends show the number of men signing up is on the rise. These are big growth numbers that show tremendous potential for businesses looking for creative ways to catch consumers’ attention and increase holiday sales. With some of the new features rolling out in 2015, Pinterest is quickly becoming a sales channel that businesses can’t afford to ignore. Businesses already have the option to use Pinterest to promote products using boards or by adding pin buttons to their websites, but several new features just might be the key for generating huge increases in sales. Since the platform first launched, consumers have longed for the option to buy products they find right from the Pinterest site, just in time for the holidays. Pinterest began rolling out this new feature to the U.S. in early June 2015, allowing consumers to pin right from their iPhone and iPad. So far, the option is only available to businesses that use Shopify or Demandware. But as this feature takes off, consumers will start seeing prices shown in blue under the items that have been approved for purchase. Businesses that don’t use either of these platforms have the option to sign up for the waitlist to be notified about future integration opportunities. Signing up for a business account is free, and there’s no cost for creating pins or adding pin buttons to a website. 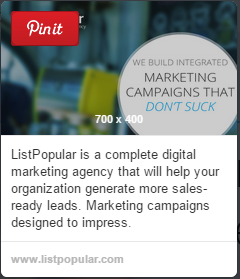 But businesses now have the option to further drive awareness, engagement and traffic by paying for Promoted Pins. Promoted Pins appear in the feeds of targeted consumers, and businesses are charged based on the number of clicks each Promoted Pin generates. This tool is currently only available to certain U.S. businesses, so it may be worth joining the waitlist to receive updates as it becomes more widely available. What does all this pinning mean for businesses? It’s no secret that today’s consumers are doing more and more of their holiday shopping online. But it’s important to note that an increasing amount of time-strapped shoppers are turning to their smartphones and tablets for an even faster experience. That means sites like Pinterest, with their easy-to-access mobile apps, will be prime candidates for shoppers who are ready to buy when they see something they like. To take advantage of all that Pinterest has to offer, businesses need to act now to ensure their brands have good representation once the holiday shopping festivities begin. If your business meets the criteria for Buyable Pins, now is the time to act so you can have this feature up and running well before the holiday shopping season begins. If you have the budget to start experimenting with Promoted Pins, log in to your account to see if your business is eligible or sign up for the waitlist to make sure you stay informed about future eligibility. Even if you’re not yet eligible for Buyable Pins and aren’t quite ready to commit to paying for Promoted Pins, there are still plenty of ways to use Pinterest to boost your holiday sales. The best way to start is by creating a business account if you don’t already have one. Once you’ve signed up, do a quick search for your brand name or your website. 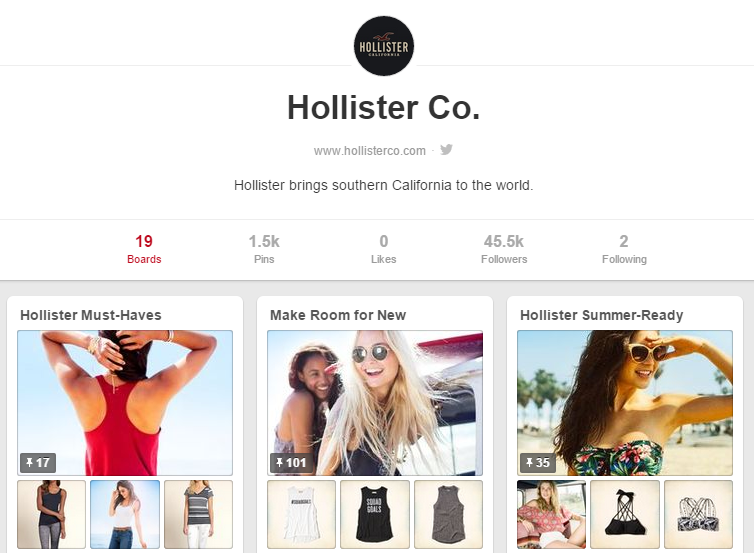 Most pins come from consumers wanting to save or share a product they’ve seen online. If your brand or products are already being shared, you can use this information to target specific customer segments or to decide which products to promote. Next, establish and maintain your brand channel by creating boards that showcase the products or services you offer. You can even create special holiday-themed boards such as “gifts for busy moms” or “seven things every runner would love”. Once you’ve established a presence on Pinterest, add a pin it button to your site so that existing or new customers can pin products from your site to their own boards. You could also send emails to existing customers highlighting products they might like. Be sure the email includes a pin button so they can quickly access the product when they’re ready to buy. Start pinning now.. we’ll wait! No matter which of these methods you choose, start pinning now. Your customers are already looking for you, and other savvy business owners are poised to steal them away. Don’t risk losing your share of holiday sales by skipping out on everything this exploding sales channel has to offer.